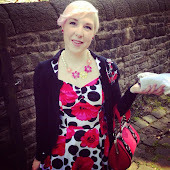 So I'm sure you all know by now that this little ol' blog is about all things beauty. And with that in mind it would seem inappropriate not to include permanent skin artistry - you know, tattoos. The statement above is completely true for me. I love tattoos, actually I adore tattoos. The idea of having art drawn on my body for me to show off forever appeals to me no end. I like to think this love has come from seeing my dads tattoos as a child, my favourite being the obligatory naked lady (she wasn't completely naked, just the top half). My dad was in the military you see and it was the thing then, as I am sure it still is now, to get Inked. Maybe it was to show you were a man *flexes muscles*, maybe it was because it was a thing you did when you were wasted, maybe a little bit of both lol. But it's been a military tradition for a very long time. And I loved those drawings on my dads arms. They weren't weird to me, they were perfectly normal. There were no negative connotations that came with them. I don't think anyone looked at my dad and thought 'naughty person'. Well who knows what another person thinks, but I definitely didn't think that way. So at 17 I got my first tattoo. I know, I know, you have to be 18 by law to get a tattoo in the UK. But I memorised my date of birth as a year older and skipped off to Blackpool with my best friend and my big sister in tow, and chose a symbol and Chinese writing combo off the wall (oh how times have changed). Now I did tell my mum that I was going to get a tattoo. 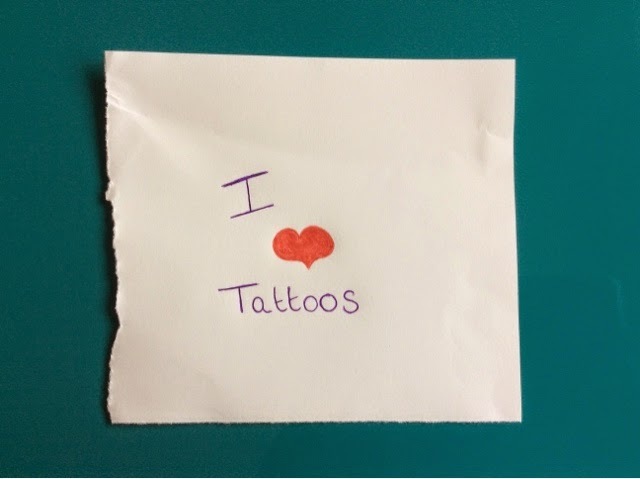 My mum had a hatred for piercings and she didn't really mind tattoos, this accompanied with the absolute certainty that she had that I was too much of a wuss to actually get a tattoo meant that she was like 'ok love' (secretly 'what evs wussy'). However she was wrong. Not about the wuss part, I am a serious wuss, but about the me not getting a tattoo part. I have no picture to hand of this elusive first tattoo, nor would I be clamoring to show it to you if I did. It's not that I hated this first tattoo, it's just that tattooing has moved on immeasurably since then. And it can't have been a great one if your artist wants to cover it up. So ten years after my first tattoo I embarked on something a little bigger and my real tattoo journey began. At the grand old age of 31 I have now had: 4 sittings, my longest being 6 hours, I have 3 substantial tattoos (all women), by 3 amazing artists, and more to come. And what will I think about my tattoos when I'm 70? Are you kidding, I'm going to be the most colourful, cool and beautiful grandma ever! 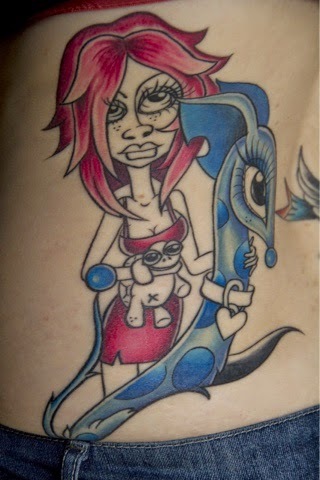 Pin-up by Dan Morris - find him at DANMORRISTATTOO on Instagram. A little old school because you can't forget the past, and also I LOVE the old school style. By Jen Maw - find her at JENMAW666 on Instagram. A little new Skool! Because I'm also about the future. Rapunzel By Bex Lowe - find her at BEXLOWETATTOOS on Instagram. 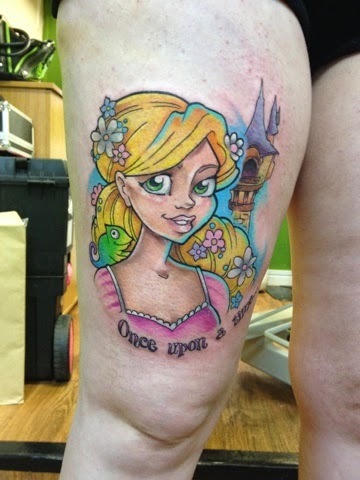 The start of my Disney Princess thigh. Because every girl deserves to be a princess. And also I adore Disney. What do you guys think about tattoos? Are you thinking about having any done? Or do you have some already? I'd love to see them.